True to its nickname, New Mexico enchants some souls so much they never leave. The Express St. James of Cimarron plays host to the cantankerous spirit of former owner Thomas James "T.J." Wright. At the Trinity Hotel in Carlsbad, Miss Ruby occasionally pranks unwitting guests and still cares for the rooms where she once worked. The gentle ghost of Julie Staab sits weeping at the bar of La Posada when not running bath water in her former room. And in death, Byron T. Mills looks over the Las Vegas Plaza Hotel he owned and neglected in life. 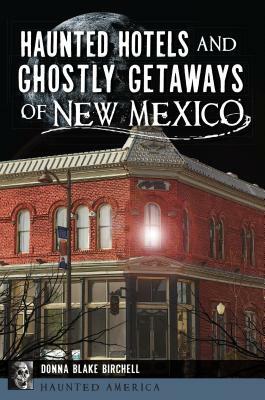 Local author Donna Blake Birchell shares the chilling stories of these permanent spectral guests.